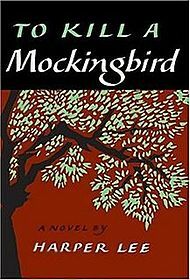 Here in Alabama, To Kill a Mockingbird is one of our great treasures. You can still go to Monroeville, Alabama and see a live re-enactment of the story every year by the local citizenry. You start out in the yard, then move inside the courthouse, and it is eerily reminiscent of the movie because Hollywood built a replica of it for the film. When I went with friends a few years back, I felt a flash of shame and pain when the n-word was uttered while African American locals up in the balcony were in our presence. I was embarrassed. So we’ve made some progress, I guess. As a child in North Carolina the word was uttered around me thoughtlessly, as a part of an unquestioned culture of resentment and vulnerable entitlement. The film, and later for me the book, were a part of my personal metamorphosis into tolerance and the rejection of racism as acceptable behavior. That film, and the books of John Steinbeck that I read in middle school on my own, were formative in my sense of social conscience. They gave me empathy to those who suffered for nothing more than race and an unfortunate circumstance. 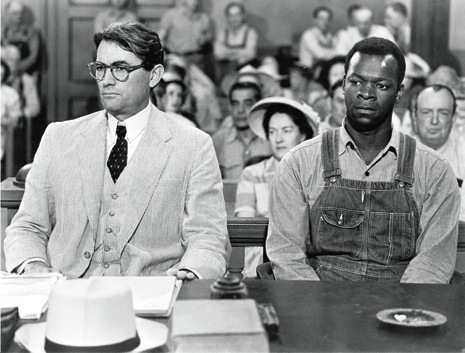 Gregory Peck’s portrayal of Atticus Finch may turn out to be his most enduring. Many lawyers in Alabama became one at the inspiration of that character. The nobility of a lost cause that is pursued nevertheless simply because it is the right one, is still powerful 50 years after the film’s release. As it is being celebrated this year, we watched the excellent documentary on “American Masters” on PBS last night and felt the tears, joy and love for this story. justice. Finally, without some sense of human fellow-feeling we will never find our way. The cultivation of empathy, compassion and respect for others in our children may be one of the truly important tasks of parenting, but it too often lags behind self-fulfillment, the quest for achievement and competitive superiority. It’s worth a watch to see the movie, read the book, and watch the documentary again and be reminded that the simplest and most basic events of childhood contain all the great ideas and truths we will ever encounter. If our heritage as Southerners is a tragic one, it is also one with strands of goodness and nobility, too. If we could but call on them more in times of fear and spiritual crisis, we might make it to the South we always have known could be. Harper Lee once wrote of her book in a letter, “Surely it is plain to the simplest intelligence that To Kill a Mockingbird spells out in words of seldom more than two syllables a code of honor and conduct, Christian in its ethic, that is the heritage of all Southerners.” It’s ours to embody, if we will. It might have something to say to us about our current fears of those who are different from us in whatever ways scare us at the moment and give our politicians bad ideas about how to use them. Posted on April 9, 2012, in Art, Books, Children, Competition, Culture, Ethics, humanity, Immigration, Justice, Movie Reviews, Race, REVIEWS--Books, Movies, Music and tagged Alabama, Boo Radley, books, compassion, empathy, forgiveness, Gregory Peck, Harper Lee, movies, race, Southerners, the South, To Kill a Mockingbird. Bookmark the permalink. 5 Comments. A brilliant appreciation, and a true testament to the fact that the stories we tell each other have the power to transform lives. 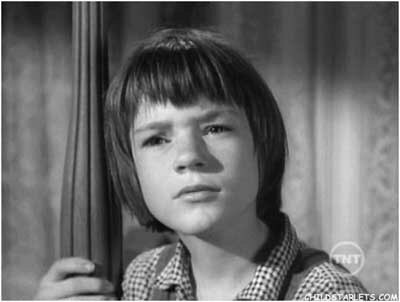 I will argue with just about anyone who wants to that “To Kill A Mockingbird” is the Great American Novel. It has so much to tell us about who we have been and who we are, and even today has the guiding force of a moral compass. And the film! Has there ever been a better adaptation? How great to hear from a longtime friend and writer. Thanks, Jeannie. Gary: I was looking for the Mary Murphy film and missed it. I commented on her website last year. 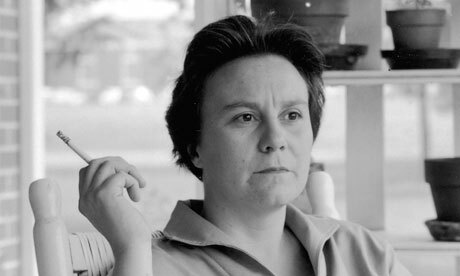 NPR had a story about yet another documentary on Harper Lee just a few days ago. I understand the latest has a segment with Cynthia Tucker’s Mother; the outstanding Black family of Monroeville. Of the many stories in Scout and me, the one about Scout going downtown Bham to the Alabama Theatre about the same time the children were marching in 1963 is one of the most poignant. Hoping soon to see a followup where you navigate the question are Steve Jones and Bishop Willimon modern day Atticus Finches in the immigration struggle here in Alabama. And is it tolerable to celebrate to TKAM and be mute on the bill revision currently in the state legislature? Was the recent Samford event featuring my friend John Killian and Karl Rove’s friend Richard Land adequate to the moment?